The property tycoon Malik Riaz faced some intense questioning from the Supreme Court of Pakistan last Thursday. The court asked big boss about how he gained the ownership of prime real estate areas for Bahria Town Karachi in exchange for inaccessible areas and relatively worthless land. 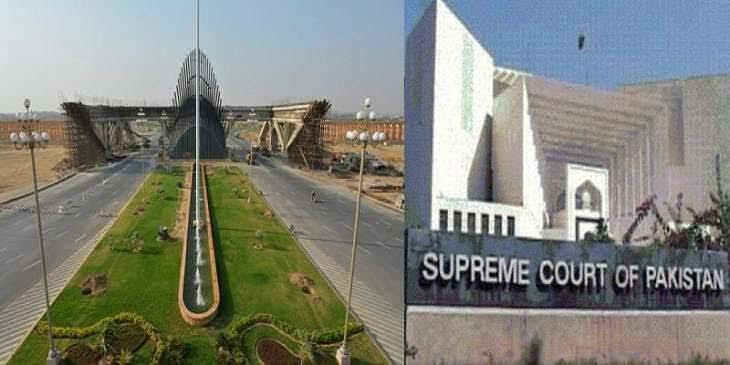 The Supreme Court bench of five members led by Chief Justice Mian Saqib Nisar’s was reviewing petitions filed by Bahria Town and investors against the Supreme Court’s ruling in a land allotment case which suspected a huge land swap between Malir Development Authority (MDA) and Bahria Town Karachi. During the court proceeding, one of the investors said that the court’s verdict is affecting their investments. Regarding this opinion, Justice Khosa wasn’t convinced with the formula of the court making an exception for illegitimate work just because the development that is done on it was excellent and up to the standards. “Malir says it did not suffer any losses; the Sindh govt says it did not suffer any losses … they are all in this together,” Justice Nisar observed. “Here we are thinking about giving the estate back to Malir, but Malir says ‘we don’t even want it’. Who is MDA’s managing director? Why don’t we send him to jail instead?” he wondered. Riaz, meanwhile, supported his argument by quoting the fact that land swaps have been practiced in Sindh since 1982. Later pm during the proceeding, counsel for Bahria Town, Mr. Ali Zafar told the court that his client was in possession of 1,800 canals of MDA land, and was willing to pay an additional Rs5bn to settle the matter. However, the court refused the argument. The chief justice Saqib Nisar remarked that Pakistan needed Rs1.5 trillion to build dams, and asked Riaz if he could build one for the country. He also told the property tycoon that if he could not come up at least a trillion rupees, the case would be discussed on its merits alone. Riaz also argued against involving the NAB in the case. He claims that “hundreds of thousands of people will get unemployed” if the project fell apart. This remark considerably irked the chief justice, who advised Bukhari to think before he speaks. “The judiciary is here to protect Pakistan,” he stated. “I was merely talking in economic terms,” Bukhari clarified before the court recessed for a 30-minute break. When the hearing resumed, the court had questions for the provincial government. The chief justice also wondered why Riaz was afraid of NAB proceedings. “If others can face their cases in NAB, why can’t Malik Riaz do the same?” he asked. The case was later adjourned till next Thursday.